This play by Eddy van Wyk and staged reading directed by co-founder Davey Calderon centers around the poet Ingrid Jonker. Between 1950-1960s South Africa was a country at the height of an apartheid society. Conflict raged during Ingrid's time which inspired her to write a poem that would decades later become a symbol of a better South Africa without apartheid. Unfortunately, slipping into her own chaos, she ends her life before seeing the future she had hoped for. 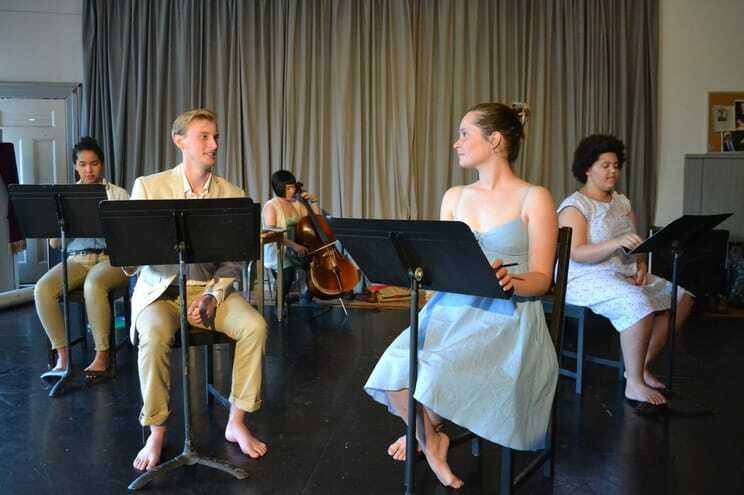 KIND had it's world premier through a staged reading in the Firehall Arts Centre's BC Bud's Festival 2015.